Today is the official launch day for Elle & Eleanor Across the Pond by Lauren Widner and Lindsay Boucher. These two talented women, who hail from opposite sides of the country, became writing partners after studying for their Master’s Degree in Chicago. We are so glad they found each other. 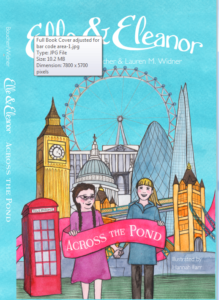 Elle & Eleanor Across the Pond is a wonderful adventure for those starting chapter books. This work encourages children to let their imaginations soar and to realize they can do anything. Also a big shout out to Hannah Farr who was cover designer and illustrator for this book! Elle & Eleanor Across the Pond is available in paperback and kindle. Lauren Widner: I grew up in Northern Jersey and I still live in the area with the majority of my have family close by. I went to school for Music Education at Penn State and then completed a Master’s in Music Education at Boston University. Later, I went back and earned a second Master’s in Theater Direction. I taught in New Jersey public school for fifteen years and recently left the teaching world to pursue directing theater full time and professionally. Lindsay Boucher: I’m from Salt Lake City, Utah and I love living near the mountains. I went to Utah State University for my undergrad degrees in theater and history. When I started thinking about grad school I decided to complete a program in Chicago because it was a good program and I was a major Chicago Cubs fan. I currently teach high school theater and I’ve been a teacher for 13 years. How did you two meet and what prompted you to become writing partners? Lauren Widner: Lindsay and I met at Roosevelt University in Chicago. Lindsay Boucher: And I vividly remember sitting on Lauren’s floor with my laptop; we’d pick each others’ brains, clarify ideas, make each other take study breaks, and that sort of solidified our friendship. Lauren Widner: We found that we had a very similar way of thinking about things, which was very helpful as we went through – not just the class, but the program. Lindsay Boucher: And throughout our teaching and directing. How did you come up with the idea of Elle & Eleanor Across the Pond? Lauren Widner: To celebrate getting our Master’s Degree, Lindsay and I went on an European Extravaganza – We spent two and half weeks in parts of Ireland, Scotland, and England. Lindsay Boucher: We were goofing around and enjoying the sights. Lindsay Boucher: Or when we went to Buckingham Palace we decided one of the guards had to be named Ivan and we created an entire backstory for him. Which eventually, became part of our book. And while Ivan isn’t the focus of our book, this kind of banter led us to joke about writing a book. 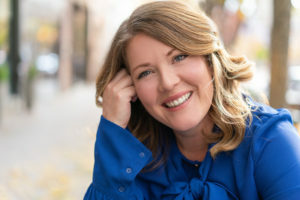 Lauren Widner: We joke around all the time about pipe dreams – big ideas we have that seem unlikely, but it doesn’t hurt to put them out into the universe – and here we are three years later and we’ve written book. Are your characters based on real girls or totally fictional? 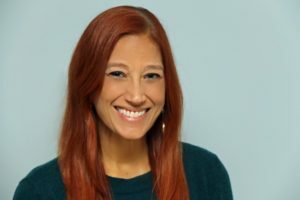 Lauren Widner: Our family and friends (those who have read earlier drafts) have made assumptions and have asked us about whether or not the girls are based on us, but the truth is the girls are fictional. They have qualities that are similar to us – there is a little bit of each of us in both of them – with a whole lot of fiction to make up the rest. What do you want your young readers to get from your book? Lauren Widner: The value of friendship. The excitement of being in a new place. Experiencing things that you don’t have at home and appreciating the things that are different. Lindsay Boucher: A sense of adventure and what positive communication and interactions with others looks like. What do you want parents to get from your book? Lindsay Boucher: To be present and in the moment. Fun isn’t bought it’s made. So no matter where you are be there. Enjoy the simple pleasures. We don’t necessarily see that from the adults in our book, but it’s a lesson I personally try to take from Elle and Eleanor. Lauren Widner: There are still kids inside of every adult and not to forget that. It’s easy to think about adult things and get bogged down with it, but it’s important to experience life with a bit of that child inside of you. Where do you two see yourselves as writers in five years? Will you stay with children’s literature or any plans to expand into older age groups? Lindsay Boucher: Lauren and I hope to continue to take Elle and Eleanor on more adventures around the world and closer to home. We already have a few more adventures lined up for the girls. That’s our focus right now – maybe that will change over time – but currently we’re happy to travel with Elle and Eleanor. Having read the book (and I hope it’s just the first in a series) I also want to add that besides being a fun adventure that will teach readers about London, the book also conveys an underlying message about communication and trust.